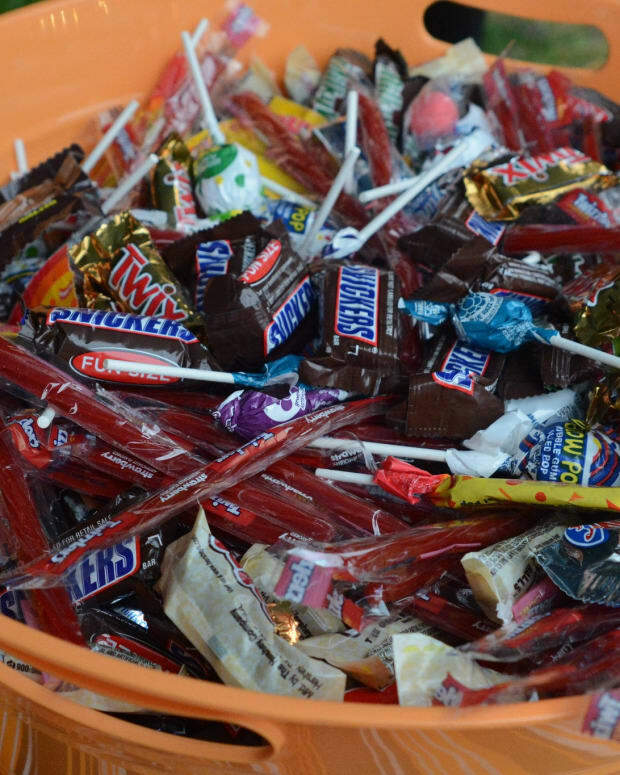 It appears that one woman has her own plan to help fight childhood obesity this Halloween. 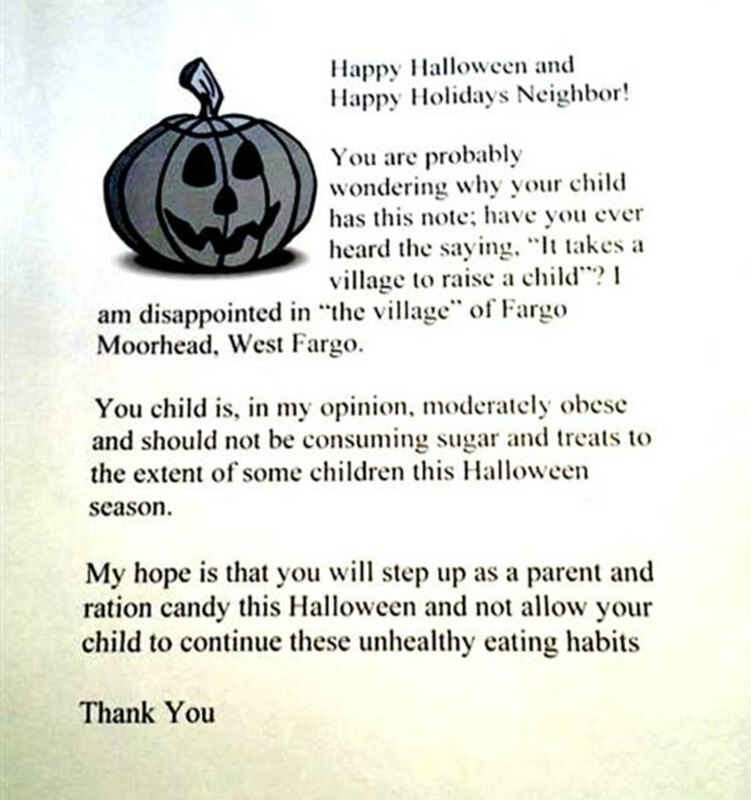 A North Dakota woman says she’ll be giving out letters to trick-or-treaters who are overweight, according to My Fox Philly. The woman says she’ll give the letter to the children for their parents. 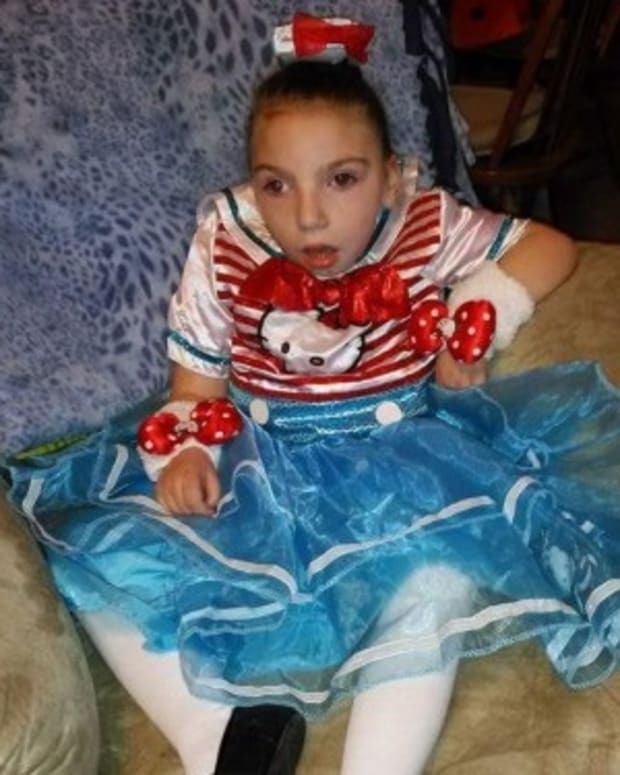 You child [sic] is, in my opinion, moderately obese and should not be consuming sugar and treats to the extent of some children this Halloween season. North Dakota State University Assistant Professor of Clinical Psychology Dr. Katie Gordon studies eating disorders and says that children and adolescents in particular are very conscious of fitting in with peers. She notes that the letter might hurt more than help. “It’s just that kind of thing that for some kids, if they’re vulnerable, might trigger major problems,” Gordon said.